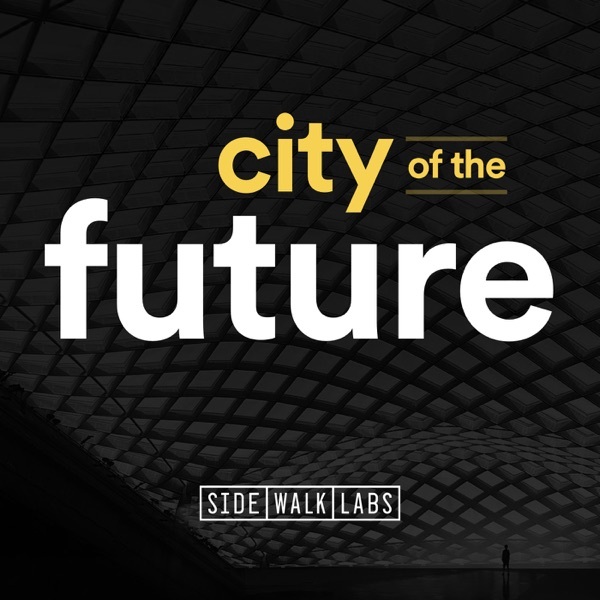 City of the Future | Listen Free on Castbox. For our first live show, co-host Vanessa Quirk moderates a discussion with some of the familiar voices from season 1: Director of Buildings Innovation Karim Khalifa; Director of Mobility for Streets Willa Ng; and Associate Director of Sustainability Emily Kildow. We talk about everything from fire testing timber to congestion pricing to pneumatic tubes. Thanks to City Farm Presents for having City of the Future at the Brooklyn Podcast festival. Live at the Brooklyn Podcast Festival! Simple as it may seem, recycling properly is really hard — and our misguided attempts are actually harming the planet more than helping. But what if we could know, instantly, if we're recycling correctly? What if we were "nudged" to recycle better? Or reuse more? In this episode, we explore how behavioral science — and computer vision — could help us help our planet. City of the Future is produced by Benjamen Walker and Andrew Callaway. Our hosts are Vanessa Quirk and Eric Jaffe. This episode was mixed by Zach McNees. Music is by Adaam James Levine-Areddy (check out his band at amsterdamlost.com). Art is by Tim Kau. Special thanks to all who made this episode possible: Benjamin Miller, Emily Kildow, Sasha Tregebov, and Clare Miflin. Every day, truck drivers are out battling rush hour traffic, maneuvering through narrow city streets, circling for parking, emitting exhaust — all to get you your package as fast as possible. For the sake of our cities, and our planet, things have to change. The future of delivery will be smaller, less loud, and more sustainable. In fact, in the future, you package might just find its way to you. City of the Future is produced by Benjamen Walker and Andrew Callaway. Our hosts are Vanessa Quirk and Eric Jaffe. Mix by Sharif Youssef. Music is by Adaam James Levine-Areddy (check out his band at amsterdamlost.com). Art is by Tim Kau. Special thanks to all who made this episode possible: Chris Lutick, Brian Clark, Anne Goodchild, Sandra Rothbard, and Rohit Aggarwala. Traffic lights were invented to improve pedestrian safety, but they also created streets that put cars first. But what if traffic lights could respond to the actual conditions at the intersection — perhaps stay red for an elderly walker or turn green for a crowded bus? In this episode, we explore an innovation that could change the hierarchy of the street: adaptive traffic lights. City of the Future is produced by Benjamen Walker and Andrew Callaway. Our hosts are Vanessa Quirk and Eric Jaffe. Mix by Sharif Youssef. Music is by Adaam James Levine-Areddy (check out his band at amsterdamlost.com). Art is by Tim Kau. Special thanks to all who made this episode possible: Willa Ng, Ryan Vilim, Richard Saylor, Kara Oehler, Claire Mullen, Taylor Wizener, and Sven Kreiss. In our second episode, we explore how modular pavement — which would allow us to embed technologies into our streets — could transform our cities. We talk to Tim Allen, co-founder of a start-up working to make pavement warm up and melt snow (Arctic Heat Technologies); Thierry Sedran, the father of "removable urban pavement"; and Chris Sitzenstock and Cara Eckholm of Sidewalk Labs. City of the Future is produced by Benjamen Walker and Andrew Callaway. Our hosts are Vanessa Quirk and Eric Jaffe. Mix by Sharif Youssef. Music is by Adaam James Levine-Areddy (check out his band at amsterdamlost.com). For this episode, we also used two songs from the Free Music Archive: "Battle of Pogs" and "Ending" by Komiku. Art is by Tim Kau. Special thanks to all who made this episode possible: Kara Oehler, Claire Mullen, Tim Allen, Thierry Sedran, Chris Sitzenstock, and Cara Eckholm. In our first episode of City of the Future, our new bi-weekly podcast, we explore how mass timber could transform our cities — by making wooden skyscrapers possible. We talk to the world’s leading expert on tall wooden buildings, Michael Green, and Sidewalk’s Director of Buildings Innovation, Karim Khalifa. This episode was produced by Kara Oehler. Our hosts are Eric Jaffe and Vanessa Quirk. Mix by Sharif Youssef. Our music is by Adaam James Levine-Areddy (check out his band at amsterdamlost.com). Our art is by Tim Kau. Special thanks to all who made this episode possible: Michael Green, Karim Khalifa, Claire Mullen, Eric Baczuk, Benjamen Walker, and Andrew Callaway. City of the Future is a podcast from Sidewalk Labs — coming soon! City of the Future - Coming Soon! Love this podcast. Thanks SL for doing a great job on reporting about all of the tech involved in your project!